First, before I talk about insulin, it is important that I stress, insulin has many advantages, as well as disadvantages. And before using any of this material, consult with your physician. Everyone is different and if your doctor put you on insulin there is usually a good reason. Most of the doctors that I work with, have all admitted that they’re guilty of using insulin as a threat. They have said that they tell patients who don’t keep their sugar in check that they are going to have to prescribe insulin as a wake-up call or punishment for poor control. But sometimes, if someone has sky-high blood sugar, their doctor will put them on insulin right away. And Endocrinologists, usually treat more aggressively and use insulin at the drop of a hat. When most of the drugs that a doctor prescribes all fail, a doctor will usually use insulin as a last resort. And if a person is on 3 drugs for diabetes and they are all failing to control blood sugar levels, it’s usually hard to argue. So the biggest reason why doctors prescribe insulin is because drugs alone aren’t getting it done. But more and more doctors are starting to use insulin earlier for type 2 diabetics. Because diet and exercise are going by the wayside and people are relying more on medications to help control diabetes. One very good reason for prescribing insulin is when your pancreas can no longer produce anymore insulin. Much like type 1 diabetes, where insulin injections are required for survival, in type 2 when the pancreas isn’t able to make enough insulin, a doctor usually has no choice but to prescribe insulin. And insulin isn’t all bad. 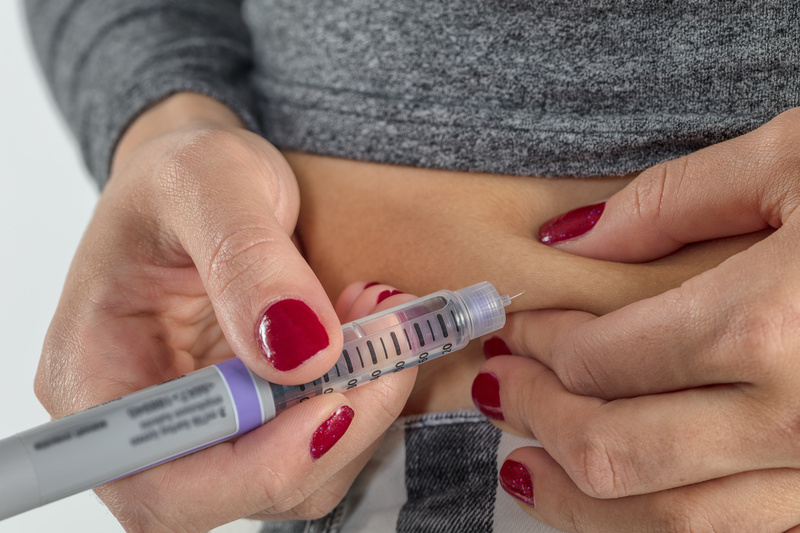 In situations where a person with type 2 diabetes is pregnant, short-acting insulin is the way to go as most drugs aren’t safe to use during pregnancy as they can cause risk to the fetus. Many of the doctors that I work with are also guilty of overusing insulin. A doctor will usually prescribe a short acting or a long-acting insulin; a combination of the two; or an intermediate acting. The reason for a long acting is to give the body that pulsatile release of insulin during the fasting state. Much like a normal working pancreas. That’s it. The reason for short-acting or mealtime insulin is to cover meals. After you eat, when blood sugar spikes can be significant short acting insulin helps to mimic the normal insulin response. Most doctors that I work with don’t really understand that long acting isn’t supposed to cover meals, and vice versa. So instead of using short-acting for meals, and long-acting for fasting, they will use long-acting for “everything” and keep increasing the units of long-acting insulin. Two popular brand name long acting insulins are Lantus and Levemir. This in and of itself is a big problem. Too much insulin, used the wrong way can increase your risk for low blood sugar, weight gain, cardiovascular problems, and a host of other issues. Reduce insulin resistance. A big reason why type 2 diabetics require insulin is because their cells are so resistant to insulin that they require way more insulin to overcompensate for this resistance to help get the sugar into the cells. This is a big reason why many believe the pancreas “burns out” over time from having to work so hard to produce abnormally high amounts of insulin. There are drugs that help to reduce insulin resistance, and as a direct result they help to lower your blood sugar and the required insulin units that you need. Exercise is a great way to reduce insulin resistance. Although it is important to speak with your doctor before exercise as this can cause your blood sugar to drop too low if you are exercising while taking insulin. Lose Weight if you’re overweight. Fat around the midsection and your organs increases insulin resistance, which increases your insulin needs. NOTE: Insulin promotes weight gain. One of many reasons for this is because it helps the cells of your body get sugar instead of those calories from sugar being lost in the urine. Test your blood sugar more regularly. I know of some type 1 diabetics who test their sugar 8 times per day. The more you have an understanding of how food, exercise, and insulin affect your blood sugar, the easier it is to tweak and control it. With better control, instead of your doctor telling you that you will need more units of insulin, now the doctor may tell you that you don’t have to increase the dose or you can reduce it. If you’re serious about getting off insulin you need to check out my master your diabetes program. In master your diabetes, you’ll learn how to control your blood sugar naturally even if it’s in the 400’s. I’m a retired medical doctor. Diabetic since 1993, on insulin since 2009, and today I have just completed my third day without insulin or any other oral hypoglycaemics. I have done this mainly off my own bat as I wasn’t getting any positive advice anywhere although they can see me losing weight – about 6st 9 pounds now. I walk an hour a day with me dog. I’ll be 65 in August. Everything I have read above is so… But I was terribly ill rather suddenly with a dangerously high glucose back in 2009 and something had to be done. My wife died a year ago and I determined that I was not going to just sit there and fall apart. Hence my motivation. My web page is for music only. That’s awesome! Thanks for sharing…You’re an inspiration! Sometimes insulin is the only way to go. It all depends on if your wife’s pancreas can still make enough insulin on it’s own or not. Your doctor would know better. In the states, many doctors order a c-peptide test to figure this out. i started on insulin 3 months ago at 12 units i am now on 50 units my sugar level has not changed it is still between 9 and 12 . why? Your doctor has to make adjustments with insulin. The job of insulin is to mimic a normal pancreas, but with insulin resistance you’ll require more units than a non-diabetic. Are you on rapid acting or basal (long-acting) insulin or both? You may require mealtime (rapid-acting) AND long acting insulin. Long acting is supposed to cover fasting (in between meals, overnight) ONLY and rapid acting covers meal blood sugar spikes. If your doctor is giving you a long-acting insulin to cover your high numbers after meals, he needs to give you mealtime insulin and vice versa. Insulin therapy is very intimidating for many primary care doctors and they don’t really understand it so bare with him. I started out w/ gestational diabetes in my 20s. After a decade type 2 diabetes w/ metformin and 40 units of insulin. Today my doctor took me off insulin as I am working in a high tempo environment. Diet of low card, high protein also helps. Good luck and wishing you the best of health. This a note to Gary Worthington… But 1st, I must issue a disclaimer that I am a diabetic patient and not a doctor, nor an expert. I simply want to make sure that you are taking your short acting insulin (e.g., Humalog) at the right time of day. That is, taking your injections 0-15 minutes before you eat. If you aren’t fastidious with your timing, your blood glucose counts may suffer from being too high, or too low. I know this because I always injected after meals… I have just come from the Mayo Clinic and a three day in-residence insulin management course. This fact came out, and now I’m injecting religiously before meals, using less insulin (particularly long term), and it seems to be working. Good Luck!! !